Itzel is a hard-working Senior at La Joya Community High School in Avondale, AZ. She loves to enjoy life but also capture its special moments by photographing them. She loves posting her life on social media, enjoys photography, painting, going on adventures, and she loves to travel as far as possible. She’s currently involved in an Advanced Digital Communications class and enjoys photographing for her schools yearbook. For her future, she hopes to travel the world and enjoy her life to the fullest. She wants to capture all of the special moments so she can treasure them forever and always look back on the memories. 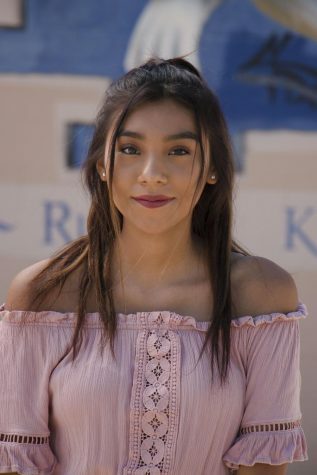 Being a hard worker, she plans to work at her current job which is being a receptionist at Amaxx Hair Salon while hopefully attending the Academy of Art University located in San Francisco, CA. She wants to continue her love for photography and plans to major in communications and/or Photography.